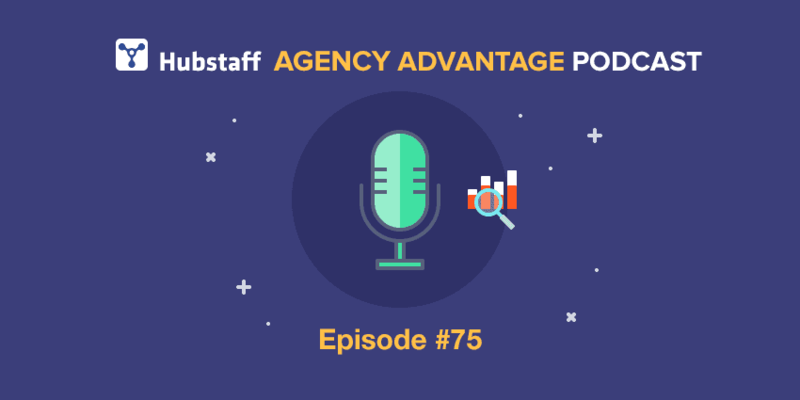 On today’s episode of Hubstaff’s Agency Advantage Podcast, I’m doing round two with Brent Weaver of uGurus, who walks us through the exact sales process he teaches agencies to help them close 5- and 6-figure deals. We’ve spent a lot of time on this show talking about methods for generating more leads through strong positioning and marketing and how to use roadmapping to do paid discovery and act as a stepping stone to selling bigger deals, but we haven’t spent much time tearing down what that sales process looks like. If you’re like most agencies, you didn’t start out charging the big bucks for your services. Instead, you slowly moved up the ladder as you gained more experience and, most importantly, more confidence. The trouble is that if you try to sell a $20,000 project the same as a $2,000 project, you aren’t going to have much success. In our chat, Brent breaks down what he calls the interaction model for sales, which is a battle tested method for closing those bigger deals. This is the first time he has really opened up the kimono and shared this publicly, so you’re in for a treat. If you’re struggling to raise your rates, this is advice that you need to hear. But even if you’re already selling 5 and 6-figure deals, getting just one tip to improve your own sales process will pay huge dividends, so this is an episode that has something for just about everybody. So without further ado, here’s Brent Weaver of uGurus! A lot of sales methods go straight from contacting the lead to a discovery call, but Brent argues this is jumping the gun. Before you spend both parties’ time and money trying to work out a bigger game plan, start with the basic question: is this lead even the kind of person I want to work with? Don’t start right off the bat by looking at their problems and what you can do for them. Instead, take a quick, initial phone call and ask them some very important questions to assess their fit with your agency. Are they the right size? How long have they been in business? How big of a budget do they have? What kind of business are they doing? If you’re a big agency, you don’t want to waste your time with little fish. Similarly, if you’re just getting your feet under you, you probably don’t want to work with a client that’s big enough to have their own stock ticker. This way, if you realize this client probably won’t work out, you can shake hands and part ways as friends instead of having to dig yourself out of a hole later on when things start breaking down. Once you’ve decided that this client is a good fit for your business, now Brent says you can start the discovery process. But, again, he wants you to think about it differently. To really deliver value and start landing higher ticket clients, you need to take extra time with your discovery process. Don’t just do one phone call and go straight to the proposal. An hour or so with a client is not going to cover all the things you need to know to do more than just deliver them a website or some nice ad copy. However, when you sit down and talk to them, you discover, yes, their website needs updating, but they’re really looking at it because they’re not generating as many leads as they need or their sales funnel needs updating. If you take just a quick single discovery call, you might only know about their outdated website. But if you really slow down and listen, you’ll figure out it’s more than that–they need you to build a website that’ll be the anchor in their sales funnel. This approach has two benefits for you as the agency. First, it really demonstrates your value. Unlike every other agency they’ve approached, you’re going deeper. You’ve taken the time to speak to their specific needs instead of just delivering a commodity that anyone can make. This allows you to charge higher prices, since they can’t go to another agency and get the same level of service. Second, it ensures better client interactions. If a client starts out looking for more leads, decides they need a website to do it, and you build them a website that looks great but doesn’t deliver more customers, they’re going to be disappointed. It doesn’t matter they didn’t say upfront they were looking for more customers. It’s your job as an agency owner to figure that out and really tell them what they need. Brent has yet another trick that disrupts the typical lead→ discovery→ proposal model. You’ve gone through Brent’s enhanced qualification and discovery process. You know that this client is someone you want to work with, and you’ve discovered what they really need to help them grow their business. But we’ve all experienced the wonderful process of spending hours crafting a proposal, only to have a client reject it because it wasn’t what they thought they were looking for. Instead of wasting all that time, Brent suggests adding a third step to the model: a solutions presentation. This is a soft sell, pre-proposal pitch to the client to make sure everyone is on the same page. Walk the client through what you’re thinking of. You have identified X problems in their business, you noticed Y about their market, and Z is the solution because of A and B. This is also a way to get the client to commit to a higher price point. They may have started out asking for a website, but since their real problem is lead generation, you’re going to build them an entire sales funnel from scratch, and that costs more because it will deliver more value. Your goal here is to get a soft yes from your client. You ask them if they like what you’ve come up with, and if they say yes, that’s when you start work on your proposal. That way, everyone’s on board, and you’re not just throwing a proposal into the wind to see if it sticks. Brent’s final piece of advice concerns your proposal. According to Brent, you never just email a client your proposal, because that way you’re losing a golden opportunity to sell your client on your product. Throughout this entire process, you’ve realized that the client is a good fit for your agency and that you want their business; you’ve used an extended discovery process to figure out all the details of their industry, from their customers to their jargon; and you’ve tested your solution proposal to make sure that they want what you’re giving them. If you want big business, you need to present all this value in a way that they understand. It’s not just reading your proposal aloud and taking questions. Instead, your goal is to make sure your customer understands A) why you’re doing what you’re doing and B) why they should pay big bucks for you to do it. If you’re installing Google Analytics for them, demonstrate what Google Analytics has done for your business or another client, so they can see what you’ll be doing and how it will benefit them. Tell them the story of how Google Analytics or this type of sales funnel worked for a different client so they can imagine how it will work for them. At the end of your presentation, your client should know you’re worth the money and that you’re delivering a service no one else can. The most important part of your proposal presentation is, of course, the close. When you’re done, don’t just say, “We look forward to hearing from you.” Push for the yes. Be very direct. If they say no, you need to know why. It might be they have to run the entire thing past another stakeholder in the company. In that case, the answer is easy—offer to present your proposal again to that stakeholder. That way, instead of this random person just seeing all this stuff and a hefty price tag, you get a chance to sell everyone involved on your value and your strengths. Brent’s final tip goes for the sales process as a whole. Never let your customer end a call or contact without scheduling the next time you’re going to talk. It might be they need time to get the budget together or to discuss the issue with someone else, and that’s fine. But don’t let them say, “We’ll get back to you.” Instead, push for a specific time. Don’t let them go without an appointment on your calendar. If the client hesitates to schedule even just a quick phone call to touch base, that’s a serious red flag. Something deeper is going on, and you need to find out what so you can overcome that objection. Be honest with the client about your concern. Ask what’s holding them back. If they’re cagey about it, go ahead and say you’re ending the relationship at that point instead of waiting a month or two only to hear that they rejected your services. If they want your business, they’ll shape up and go ahead and schedule that meeting. If they don’t, you can refocus your energies on someone who does. Andy Baldacci: Brent thanks for coming on my show today. Brent Weaver: Great to be here Andy. Andy Baldacci: You were on episode 37 of the podcast back in August of last year and in that show we covered the process you developed to build a profitable agency. Today though we’re going to get a little bit more specific and focus on the sales process part of the equation. Before we dive in to that though for listeners who aren’t familiar with you, can you share a bit of your background and how you helped agency owners today? Brent Weaver: Absolutely. Andy thanks for inviting me back hopefully that’s a good sign. Our content information is well received with your audience. Hubstaff is amazing. Thanks again for having me on again. I am the CEO and co-founder of uGurus. 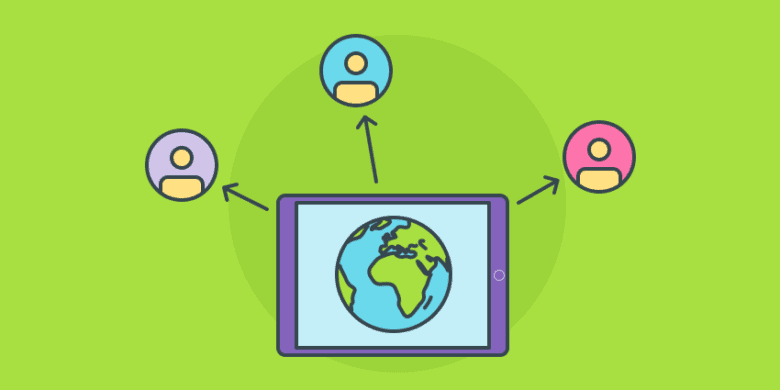 You can think of us as a business school for digital agencies. We have a 10 week accelerated program where we take digital agency entrepreneurs and we help them create a strategy, a sales system, and an operational system to sell and deliver high value projects. We tell people that they need to be doing high value work for high value pay, so work that really creates a lot of impact and difference for your clients and get you paid for that work very handsomely. It’s really our ethos so whenever anybody in our community celebrates or wins we always get really excited like they won a 100K project or a 50K project or whatever big is for them, whatever high value is for them. That’s what we spend our days doing. Andy Baldacci: When we talked last time it’s a story that a lot of agency owners can relate to. It’s where they get stuck on that plateau of maybe the $3 to $5,000 website. It’s breaking into that five figure range that is so difficult. We cover a lot of that back in episode 37. If any of our listeners wants some more details, definitely check that episode out. Brent shared a ton of great actionable nuggets in that so please check it up. Today like I said, I want to dive into the sales process specifically so I know with your background you run a digital agency. When you started out how were you approaching sales? Brent Weaver: This is pre Google so how I was approaching sales. I didn’t have the fortune of putting it into Google like how to sell a website or how to sell a high value project. A friend of mine’s dad was a business person so that was the closest thing I had to somebody that might know how to help me with sales. I emailed him and said hey I’ve got this big opportunity, they asked me for a proposal and I never even talked to this client. I said, “Give as a proposal for a website.” I was, okay I guess I should create a proposal. How do I do that? Emailed friend’s dad, he emails back, okay put this staff in your proposal. He gave me a rough outline of a proposal just some bullet points and I created this, I don’t know 10 page history and story of myself. Basically the background was 90% of it because I didn’t know what I was proposing for, but I just said website several thousand dollars or whatever. No script of work, no discovery was done. I didn’t have any idea what they really we’re trying to do for their business or organization. I sent over the proposal and needless to say I did not get that deal. It was a first stab at a proposal and I feel like that was how it went for me over the years, was try something see how it works, rate on that, continue to experiment and try stuff on there. That was really how I ran or sold for the first seven years of our business was really through trial and error. I was solely improving overtime but it was a really, really long, arduous, painful journey on learning how to sell. I did a lot of things extremely wrong or just I didn’t know any better. Andy Baldacci: Over those seven years over that period of time when you’re figuring things out and near the end of it when you feel like you have a good grasp on how to sell, what did that process look like? Brent Weaver: The seven years I was doing wrong and then the next five years was when I started to do it right. I always call my status quo process, because the same process that I was using all the way up basically up to 2007 is the same process that I hear so many people today use. Which is a client or opportunity calls you, emails you, whatever reaches out, wants to do some business with you. Says hey I need a website, or I need automation, or I need email, or I need marketing, or I need an app. They say okay what do you need? Let’s jump on a call and you can tell me what you need. You get on this call and you say tell me about what you need with your website and you have this hour long conversation, sometimes it’s even maybe longer than that. Maybe its two hours, or three hours, or whatever sometimes the phone call comes in out of the blue. It’s just somebody calls you in the middle of your day and you’re doing something else and you pick up the phone, and oh it’s an opportunity of a job. Everything I’m doing right now talk to this person for an hour. Then after they’ve exhausted everything that they want to tell you, you get to this uncomfortable silence and they say well can you help us? Okay great. I will email you over a proposal sometime next week and then we’ll go from there. That’s the process that I see a ton of agencies follow or even early stage freelancers who really don’t know how to sell. It’s great they’ve told me everything that they need, now I’m need to go away and come up with a proposal and I’ll email that over to them and get on with my day. What I found is that worked great for $2,000, $3,000, $4,000, $5,000 projects, where that did not work was when you’re trying to get high value work. When it’s 10,000, 20,000, 50,000, 100,000 or more that process really starts to break down. A lot of people that are using that process right now, even if they have an opportunity that has the budget the willingness to pay you $15, $20, $30, $40, $50,000, if you’re using that process on them it will be very difficult to get them to sign a cheque for 50K after having one hour meeting with you. Where they told you everything they needed, but you didn’t actually do any discovery, research, due diligence about their issues, problems, business market, opportunity all that stuff. That’s where I really had to learn how to really create a new process or rather I didn’t create a new process. I hired a bunch of really smart consultants and I paid them tens and tens of thousands of dollars to work with me over the course of probably about two, two and a half years. Then the result of that was the interaction model, which is basically I’ve got a couple of courses that teach the exact model, but I’m happy to run through some of the basics today. Andy Baldacci: It is funny because you talk about the shift up from the 3 to 5K range, to the low and even mid to high five figures. A lot of that is about finding the clients who can actually afford that and who have a business that you can generate value to make it worth investing in that project. If all you’re doing is just finding the people who are able to afford it, but not changing anything else you’re not really going to really have too much luck actually closing those deals. When you’re working with these consultants what was that process like? When they’re coming in, do you have a steady flow of potential lease of prospects that you’re reaching out to and it’s just refining the process? What was that phase like? Brent Weaver: It’s important to separate marketing and sales with an agency, and I’ve talked with my community about. Agencies at times merge these two things together. They got and tried to hire a sales rep, sales rep starts working for the agency and they say okay go find business, get out of here, go meet clients. They’re asking the sales rep basically to be a marketer go out there and do prospect generation. Andy Baldacci: Generate the leads. Brent Weaver: Generate the leads and follow a sales process to convert those leads into actual business. There’s a whole conversation on how to generate the leads. I consider that marketing, I consider that a strategy conversation. Let’s assume that you have leads coming into your business, then there’s just some basic rules that I teach people. One of those is relationships equal interactions over time. In the example I gave you earlier where we are having the mega meeting with the client, where we have one interaction with our client and then we’re trying to propose them a $30,000 project. There’s not a really great relationship tie there, just fundamental like not talking about your cool solution, how much experience you have as an agency. How awesome you are at design, development, or whatever your superpower is. When there’s not much of a relationship there, getting somebody to trust you to sign a five figure cheque or a six figure cheque is a very, very difficult thing. Just from a fundamental standpoint, if you’re trying to get into the higher value work space, you have to accept the fact that you’re going to have more interactions with your clients and you actually should just design your entire process around that. We basically started designing our process around that, where our interactions were initially very short qualification 15 or 20 minutes run out of time. You’re like, hey let’s have an initial conversation and see if it makes sense for us to even continue speaking with one another. I had a half dozen to a dozen different questions that I could ask in that meeting, most of which it was questions that were designed to try to give me red flag responses. It was one of the big mistakes I was making Andy was, every lead that came through the door I put my absolute 100% effort behind trying to win that business, even if it was clear from the very first interaction that it was probably going to turn into a disaster. I was just so young and hungry for new business, I just pursued everything. That wasted a lot of time and it also got really bad deals into the pipeline, that we ultimately won sometimes. It would have been better off for us to not work. Andy Baldacci: If you didn’t win them. One thing that I think with qualification especially is that, I’m looking at the flow chart you sent over of the interaction model. I’m looking at it and you have a distinction between qualification and discovery. I know a lot of times those do get lumped in together. For you what you’re saying is, the first call after that initial contact, after you’ve at least shown that there’s some interest, that first call is purely about qualifying them to make sure it makes sense to go to the next step. Is that accurate? Brent Weaver: Right. The first thing I always do is I always schedule an appointment. I don’t talk about anything unless it’s scheduled meeting on the calendar, because I want to get my prospect into the habit of we schedule our time. You don’t just call me on a random Tuesday morning and I don’t just carve out the next hour to speak with you. If you call me and say hey we’d like to hire your agency. Great. I’m crazy busy right now because that’s how our agency rolls. I would love to schedule a 15 minute intro call just to get to know your business, see if it makes sense for us. We got a couple of questions to ask you really is not a big of a deal. I can schedule that with you tomorrow 10:00 am. Does that work with you? I’ve got 15 minutes in between other clients meetings that I can do an intro call with you. Ask you a few questions and then we can go from there. You’re setting the stage right that you schedule all of your appointments; you’re setting the stage that you’re busy, that you can’t just drop what you’re doing right now. You’re doing other really important work for your client. We move that unscheduled prospect or opportunity into a more scheduled interaction. That first interaction is always qualification. It’s not you trying to sell the business on why you are so great, it’s you trying to ask questions that say could this be an ideal client for our business and how far away. There’s only a few clients you get over a given year that are your ultimate, absolute, ideal client. Every body’s maybe not quite the bullseye, but are they in the next ring or are they are on the wall? They are not even on the dart board? Your qualification is that first shot across about to figure out, is this person a good enough fit for me to invest time in actually developing a relationship and doing sales discovery and whatnot. Qualification for me depending on what market we serve we had different questions, but some basic stuff. How long have you guys been in business? About how big is your business? Is it one location? How many employees do you have? If you can get into some basic revenue. Are you guys a million company, are you a 100 dollar company, are you a billion dollar company? Do I need to look up your stock ticker? If I have to look at your stock ticker you’re probably not a great fit for our little agency. You might be depending on what you need, but that might be a red flag for me because we might not work with companies at that level. Again it’s figuring out, does this person fit your overall objective as a business? I had a handful of questions that I’d ask in that qualification stage, and if I was getting a lot of good indicators, then qualification tail into that call will go into, okay now I need to pitch and build value for our discovery process. I need to get you to commit to that basically. First micro sale if you will is, are you willing to invest your time if you’re not to be pay discovery for doing free discovery? Are you willing to invest your time to dive deep into your project and your business and see if we could help you at a larger scale? If you doing paid discovery at that point once you qualify them, you’re then going in and pitching them your paid discovery service. Sometimes some of our graduates will actually schedule a pre-paid discovery call if that makes sense. You qualify them and if that works, hey let’s set up this additional call and we’ll do some pre-discovery. If we get to a lot of good answers there, the next step from there will be a paid discovery engagement, where you engage us for a period of let’s say six weeks to really map out what we could do for you long term. Andy Baldacci: That’s what I was wondering is that, obviously a paid discovery is not going to be the full scale of those six figure projects but it’s still is not always a small purchase. You might need to be talking to someone for more than 20 minute to actually to get them to commit to that. Having that middle stage if you are doing paid discovery makes a lot of sense. The qualification seems clear to me, it truly is what it sounds like you’re qualifying the lead to make sure that they are a good fit for your agency, for what you doing. That doesn’t just mean getting rid of people who can’t afford you, it also means making sure you’re not shooting above where you should and can actually serve us some of those bigger clients. It’s finding that sweet spot but once you have it, once you have got the commitment for the discovery call what does this actually look like? This is something that I don’t think enough agencies especially the ones that are on the smaller side and aren’t charging in the five figures for their service, I don’t think they are as thorough here as they could be. What do you look for in a proper discovery call? Brent Weaver: What you’re really trying to do is get to what I consider true need and really make sure that if you are going to propose a solution, that you clearly understand the problems that you the web pro, the agent center you understand their problems. Over the years there was the rare client that came to us that was super savvy, had done a needs analysis, and had brought in the consultant. They presented us with a here’s basically the scope of work that we need executed, because it’s going to accomplish x, y, z for us. Every once in a while that happens I’m not saying that doesn’t happen. The other 99 out of 100 clients that come to you have some ideas of some things they could do, because they have some problems in their business. They are not as savvy with digital marketing, or within their marketing, or with content marketing, or with advertising, or with websites as you are. They don’t know everything that you do, they know a little bit and they have an idea like hey we need to redo our website, because our website looks super out of date. We need to have somebody come help us with that, so let’s go get a quote for website. There’s a lot of different types of websites we can build and so is the issue that we’re solving, are we helping them attract new leads and customers through their website? If that’s the problem that we’re trying to solve, before we commit to saying to a company I’m going to help you solve a leads and customers problem by overhauling your website. If you commit to that solution for a client and you have not spent anytime doing research into who their customer is and how they buy, how they consume information, who their competition is, how the competition currently operates, what kind of strategies and tactics seem like they could be good ideas in these market, which ones could be bad ideas. If you haven’t done that due diligence and you’re putting a solution on the table where clients are going to pay you $30,000 for a new website. They think the website is going to help them solve leads and customers problem. If you don’t know how it’s going to do that before you commit to that project and you don’t help them achieve that goal, it’s going to turn into a blemish on your company. That you’re not going to be able to get more clients like them or they are going to be insanely unhappy with you. You might say, I didn’t know about that problem. I didn’t know that they were trying to get more leads and customers from the website, which of course is on the agency because you didn’t do good discovery on that. What discovery is, it’s a mutually agreeable process. It’s not a process that you go through, it’s not a process that the client goes through, it’s a process you guys go through together to uncover true need in the business and figure out, why they are really there and get really deep on that. It’s not good enough to just say, they’re trying to get more customers. You have to understand that they are trying to get a certain type of customer for a certain type of product or service, that’s going to help their business grow by x, y, z. You have to really get to that underlying driver for why they’re going to be spending five or six figures with your company. Andy Baldacci: Saying you’re doing that and it’s not paid a discovery, it’s just standard free discovery process. Does this all happen in one call? Brent Weaver: No. Whether it’s paid or not, I always tell people, I’ve never been that concerned deciding whether it’s paid or not. If you’re doing really good qualification and you’re focused on the market and you have a good sales funnel and you’re making the decision after every discovery interaction. Should I continue with this opportunity yes, no? Not just should I keep doing this because I told them I would. If you’re really good about that, some people are super successful at not doing it in a paid way; some people are more successful having paid discovery engagements. I’ve seen it work both ways, I’ve seen certain people that are getting six and seven figure work where the industry they serve, just doesn’t do paid discovery. It depends on your specific situation, but your discovery interactions you need to have multiple interactions. Back to that golden law of selling that I was telling you, relationships equals interactions over time. Your process needs to be designed in a way where you have an opportunity to have three or four interactions at a minimum, with your client before you’re proposing something. There’s some reasons behind that. One is that people just need to have multiple interactions with you in order to build that relationship and that trust. Both you having a relationship with your client and also your client having a relationship with you. Feeling like they can trust you, when somebody has seen how you show up let’s say over the course of three meetings. You’re early, you’re prepared, you’re presentable, you’re very consistent, you’re leading them through a process. These are all things that are going to come out subconsciously in a client. They’re going to be like, okay I like this guy, is sharp, totally different than the other 10 web guys that we’re trying to hire. He’s really taking charge or she’s really leading us through a process, it’s educating us and it’s informative. They are showing up on time, and presentable, and they have done research. Those are all really cool things to build that underlying trust that you need with somebody to get that five or six figure cheque. In my experience if you have multiple interactions with somebody and even if you’re presenting them the craziest coolest stuff that they’ve ever seen. If you’re late, if you’re not prepared. These are all strike against you. When you are prepared, and you are on time, and you are presentable, even if your discovery process isn’t even 100% spot on, those other factors will come build some trust and credibility with your prospect and will set you apart from your competition. It will show, hey look I have a thorough process that I’ll take you through, when you guys sign on to do business with me. I’m also going to take you through a very thorough process. I’m not just winging it right? Brent Weaver: It’s something that I’ve done many times and I’m going to lead you through this thing that might be confusing or overwhelming to you, but I’m going to show you the way. That process starts the second somebody knocks on your door. Andy Baldacci: It’s funny that you say it like that, because it’s something that so many agency owners don’t take as seriously as they should, is having that clear process for how you work with a client. In my opinion as you gain experience, as you keep delivering certain services to certain types of clients, you’re going to refine the way you work with them. A true expert though is going to have a clear process of what they do, because even if someone doesn’t have a written out process, even if they don’t necessarily have a flow chart of at this point we do this and then that and then that. The client still wants to feel like you know what’s going on, that you truly are an expert. If you are scattered, if you show up for a call without clear objectives, if they don’t know where things stand at any given time, they’re really going to question that expertise. That is not a way to close and maintain those five and six figure deals. Brent Weaver: Andy you’re spot on. It’s like a topic where you know your process from end to end with the client. Don’t have a really well thought out project management process, but not a really well thought out sales process and just hope that, hey the real work starts once you guys sign on the dotted line. Even for yourself you need to protect your agency and you need to protect it from the clients that don’t follow your instruction, don’t take your lead. In our community they call them peter clients they’re pain in the whatever clients. You want to protect your company from those types of clients and I’ve heard this story from so many companies, just one of those types of clients that if the project really goes off the rails, if the relationship really goes off the rails, you can sink your business. I’ve watched that happen to people. For me I was always trialing my clients like discovery going and meeting with your client and this is what happens. If you’re going to go through a multi-interaction discovery process, you will get people that say things like can’t you just give me a proposal? Why do I have to I have so many meetings with you? These are signs right from the start that they aren’t willing to trust your process. I almost looked at the interaction model as I’m going to have you jump through some hoops. Obviously I didn’t say that. I’m going to have you jump through some hoops. I want to see how you take our lead, because if you’re going to hold me accountable for driving more people into your restaurant. If that’s what you’re going to pay me a ton of money to help you with and you’re going to hold me accountable to that, then there are going to be times where I ask you to do things that you might be uncomfortable with or you might not be 100% behind the idea, because you haven’t experienced it yet. I have to be confident that my client is going to let me lead the way when appropriate and if they’re constantly fighting me okay you just give me a quote. It’s going to really tell you about how they’re going to act as a client later on down the road. You always wonder. Why do I have all these clients that are total pains and problems? You signed contracts with all of them without vetting them out. Actually uGurus now I’ve gone to hire companies to do a variety of different services. As a more experienced entrepreneur, I am begging for the agencies that I want to hire to do great discovery, because I’ve been in a situation before I’m like, are you sure you understand this problem? Are you really sure? I’m telling you right now this is a really hard problem to solve and you are nodding your head and saying, I understand this problem and I can solve this for you. Of course later down the road then they’re like, this problem seems harder than we originally thought. I was like great. You could have figured that out a while ago right? Brent Weaver: Most really good business owners that have real problems, that are willing to invest the money and time to solve those problems, and they are intentional about it and they are great clients to work with. Those types of clients respond so well to discovery and that’s what we found over and over was that, when we take somebody through discovery that is going to become a great client. From the very first interactions they’re giving us a lot of positive feedback. They’re saying things like god I love this process. Nobody else is doing this for us or I’m learning so much along this way. We can’t wait to work with you. Those are great things to hear from a client and you’ll start to hear them and those are in the diagram I forwarded you, there’s almost this red light, green light thing. When people start telling me, can I just get a proposal that was always my point where I put up my hands up and say, look it sounds like we are probably going to be a bad fit, because you’re looking for a commodity. You’re looking for somebody just to bang out a website for you and we don’t sell a commodity. We don’t just sell web design, we’re here to solve your problems in your business and if you won’t let us do that for you, hen it’s probably not going to work out for us. Either one or two things is going to happen at that moment, either they’ll say thank you for being upfront and we’ll see you later or they’ll say wait hold on. We do want to work with you, we really like your portfolio, the clients. Just tell us what we need to do. Maybe we were off the wrong foot. I would just always be very stand offish if I started getting those red flag indicators. Andy Baldacci: You hit on so much there, but one of the big things I want to emphasize is that as you moving up the value ladder in terms of the projects you’re delivering for your clients and the fees that you’re charging for them. You can’t truly sell a value based project if you don’t fully understand the problem that you’re solving. If someone comes to you and they say they want a website, you can’t just build them a website and say let’s look at your business, quickly I’ll do some math and I’m going to charge 15K. You’re going to get an ROI on that. You need to have some serious discovery to truly understand not just a value can provide, but how you can provide that value. The client so they want to see that too, because they don’t want someone to come in who is just going to build a website for them. If they do like you said they are probably not a good fit. The discovery phase in my opinion is so crucial to actually figuring out what the ideal solution is. Say the prospect has made it through those phases of the discovery and things are looking good, you know you can provide value for them, they are on board, no red flags what happens next? Brent Weaver: If you get the point and again discovery goes on for as long as it needs to and I think it’s important. People are like, how many discovery meetings should I have? It’s I don’t know it depends on the client. We had one of our graduates she did a pay discovery engagement, she got paid $8 or $9,000 just to do discovery for a client. She ultimately had 16 meetings anywhere from one to two hours to each and those were meetings with the key stakeholders in the organization, as well as some customers actually went that far to talk with people that were using the website and they were trying to solve some problems for it. They learned a ton in that process. They got paid 8,000 bucks to do that discovery and ultimately they ended up winning $116,000 engagement. How many discovery meetings did you have? I don’t know that’s a hard question to answer. Let’s assume you go through discovery and you have identified what we consider to be true need. You really understand the problems that exist in the business and you understand why those problems are existing, and you have a good solution for them that’s going to help them solve their problem. What we do is do what we call solutions presentation. This is pre-proposal. This is what I considered to be the soft ball or the soft pitch, to see if what you have put together, what you have identified about their customer, their market, their business, their problems et cetera. You’re pulling everything from discovery into a presentation and that presentation basically is going to walk through the problems that exist, the market. If you can quantify how much these problems are costing the business, if you can quantify what opportunity you think by solving these problems they’ll be able to achieve, and also walk through some fundamental idea behind your solution. We’re going to build you a website, that website is going to have a funnel. These are the five steps we’re going to implement on the website we’re using this type of strategy et cetera and we think it’s going to cost about this much money for us to do that. This is a high level talk of are we on the same page? Are we on the same ball park? I know you guys came to us and said, you want a new website for 10 grand but when we got into discovery you told us all these other things. In order for us to solve these other things and the thing you came to us for, it’s going to be more like 50. Should we go into a deeper dire proposal and come up with this scope of work and go that far. It’s a soft close if you will. If somebody says great we’re in the same ball park, let’s get more specific. At that point you basically move to the next stage, which will be a proposal presentation and if you are in a market that requires some type of more robust contracts, then you might then go to a contract negotiation stage. Andy Baldacci: I like how you phrase it as that soft close. You’re making sure this was what we figured out, are we in the same ball park right now? If so we move on to the formal proposal and if not okay that’s fine, I’m glad we figure that up before more time was invested. At that actual proposal presentation if you are in the same ball park, this is another thing I know you are very particular about. Is that you’re not just emailing them over the proposal are you? Brent Weaver: You got to present your proposal. This is one of another golden laws of selling, which is always present your proposal. This is the thing that you don’t want to outsource to your inbox, you spend so much time going through discovery for you to know what the pains and problems are. Really understanding your client’s business, their market, you’ve learned the lingo, you’ve learned the people’s names in the room whatever. You’ve done your due diligence and this is your time that you get to sell. You get to sit in front of your client and wow them with everything that you know about why they are going to invest all this money. It always surprises me that people are willing to email that over to somebody and just never actually get an opportunity to present to them. Presenting the proposal is not reading your client the proposal it’s a little bit different. We tell people a couple of things, first we run the rule from Simon Sinek, “The people don’t buy what you do or how you do it, they buy why you do something.” Your proposal presentation is the opportunity you get to really put the why behind the because. We’re doing this thing, we’re putting Google Analytics with gold trackers, because one of your KPIs is website leads and website sales. We need to be able to track that for your business to have that dashboard, so you can hold us accountable to this goal. Google Analytics is a scope of work item, but then the why behind it is the KPIs. You want to be able to go through and really tell your client about all that stuff. You get to present and sell if you will. The other piece that we tell people is show not tell. When you going through your proposal presentation, there’s going to be a whole bunch of staff in your proposal that your client maybe doesn’t really know or doesn’t have experience with. There could be tactical terms, platforms like Google Analytics is an example. They might go oh that’s great you’re going to install Google Analytics? If you have an opportunity to basically pop open another window and go here’s our Google Analytics goal funnel, that we did for this business or for our own business. The client gets to see part of the solution as you’re running through this presentation that’s going to make your proposal come to life for them. I always love to use storytelling, and I love to use case studies, I love to use show and tell examples, so that by the time I’m done with my proposal presentation the client’s like holy crap. This company is doing something completely different than every other company that we’re potentially getting pitches from. The sentence I always want them to say is, gosh you guys are so much more expensive than everybody else we’re talking to, but now we understand why. Andy Baldacci: That’s great. When they are talking with other agencies and a lot of companies are going to be, it’s not going to be too calm especially when the projects gets bigger that they’re only talking to you depending on how well it worked out. This is just having this clear process and demonstrating the value of why you’re worth so much. You’ve summed it up exactly right, it’s they know you’re expensive because they’ve seen quotes that are nowhere near what you’re charging but they get it. After you’ve explained it all to them in this way, it’s going to be very hard for them to go back to one of the other agencies who doesn’t quite get it like you do. Brent Weaver: It will be and I always give them a caution. Let’s say one of their problems was to get more leads or get more customer’s problem, by the end of the proposal presentation I could say something like, when you came to us you wanted a website. What you realize now is you need something much more than that to accomplish the goals that you guys have set out to. If you have other quotes from companies that are not this thorough, that are not speaking to the goals and objectives that you guys have set out to do, my recommendation would be to not move forward with any of us versus move forward with a company that’s just providing you a website. It’s going to be wasted money. If you’re going to spend 5K with them you’d be better of flashing that money down the toilet. If you guys are not ready to move forward with a solution like ours then wait. Wait until you are ready. The website you guys have today might be just as effective as some other website that just looks a little prettier. Wait and if you guys aren’t ready to move forward with this today then wait another six months, wait nine months, until you have the investment ready. This investment for your business is going to dictate the successes that you guys have over the next three to five years, coming to your business. We get all the time people will be like, we weren’t planning on spending 30K and so we’ll get back to you. Let’s schedule a 30 minute meeting in a month and then those people would say, you know what? We’re taking your advice we’re not moving forward. We think we can have this budgeted for in Q3. Okay great. I can wait three months for that deal to move forward in the right way for that client. That would happen to us all the time where we’d convince the client that, they needed a high value solution and that a commodity solution was not going to cut it for them, and it would be complete waste of money. That’s a great place to be and a great position to be with your clients. Andy Baldacci: That ties to the other golden sales laws that even at this point you’re never leaving a meeting without scheduling another meeting, as long as the lead isn’t disqualified. Even if they say they’re not ready yet, you’re still moving the ball forward and keeping them in contact with you. Brent Weaver: If somebody is not willing to schedule with me that means that I have to chase them or that means that now I have this pit in my stomach. Every week that I have to think about, what business could come in this week? I don’t know. We all know that pit feels like when it’s just we don’t know what’s going to come next, and so if somebody is not willing to schedule a meeting with me even a check and call 30 days out. 30 minutes to just let’s put it on a calendar, I don’t want to hassle you, I don’t want to email you, I don’t want to call you every week between now and infinity, to see how you’re doing on this project. If they are not willing to schedule that 30 minutes with me, that usually means that there is another objection that I have not overcome yet and they are potentially objecting from the deal at that time. Getting them to schedule a 15 or 30 minute meeting next, week next month, or wherever if they are unwilling to do that, then that’s an opportunity for you to drill into hey you know what. I’m just curious like a 15 minute check in isn’t that big of a deal. If you guys aren’t willing to schedule that time with me, it sounds like maybe you don’t want to move forward and you’re not seeing the value of this. Am I off base here. I’ve got the craziest responses from these types of questions, because literally they’ll be like, well this other company was going to actually help us out with some video stuff and we’re leaning that direction. I’ll be, excuse me video? You didn’t bring up video at all the whole process. What the heck? They’re not telling you their real objection and they are just turning you down for your appointment and so if you ever get turned down for that next meeting to get scheduled, that to me is always a sign that there’s probably something else up. You can just dig into it. Instead of waiting to not hear back from them for two or three months and then to finally get the email, we’ve decided to go with somebody else. You can dig into that right then and see if there’s an opportunity to salvage that or figure that out. If somebody is not willing to keep those meetings scheduled with me then, I just take them out of my pipeline. Andy Baldacci: Prior to this stage or prior to the proposal presentation, how do you overcome or just avoid the issue where the client says, if you have the proposal ready, can you just send it over to me or at least I want to review it before the call. Brent Weaver: Just not how we work. Andy Baldacci: How are you at least phrasing and I’m not trying to get too focused on the details here, but obviously you can go back to that’s not how we work. Is there a way that you can present it so that it lessens the chances those types of rejections? Brent Weaver: This meeting is not scheduled after you create the proposal. It’s not like you create the proposal and email the client. Hey I’ve created my proposal let’s meet now? You’re scheduling that meeting either if you’re doing solutions presentations, which aren’t necessarily required, but it is a suggested step in our process. After discovery if you’re ready to basically the next step at that stage whatever it is whether you’re doing solutions presentations or you’re going to write your proposal. There’s workable ways to do both of those as the deals get bigger you want to do solutions presentations, but you’re scheduling that proposal presentation in that session. By now, you’re up your prospect has gotten very used to your approach, you’re scheduling these meetings, you’re taking them through the process. At that solution presentation stage you’re saying, okay we’re ready to work on a proposal for you. We’d like to present that proposal to you next Tuesday at 3:00 pm and here’s what that meeting is going to look like. We’re going to basically walk through our entire proposal, we’re going to show you examples and have some additional resources backing up our solution for you. We’re going to review pricing, and investment, and timeline. We’re going to make sure at every stage going through this proposal that we’re on track to what you actually want to achieve with your project. We’re going to have plenty of time for questions and at the end of that meeting we’ll give you all of the resources that we’ll have presented to you at that time. You’re really selling your next interaction. Andy Baldacci: You’re making it develop the values more than just the proposal? Brent Weaver: Exactly. At every stage and this is important if I wasn’t emphasizing this enough, but at every stage when you commit to going to the next stage with your client, you are selling them on that next micro interaction. You’re building value for that next thing that you’re going to be doing for them. If you haven’t done discovery yet you have to sell them on the value of discovery. You can’t just be like, we do discovery and your client is like, wow what’s that? Proposal? No we do discovery. Give me a proposal. No we do discovery. You have to go into what is the problem that exists, that discovery solves for their business. What’s the value going to be for them? What’s the finished story benefit at the end of discovery what are they going to know now that they didn’t know today? The same thing comes when it’s time to present the proposal. We’re talking about presenting the proposal; you’re selling them on the value of that meeting. Andy Baldacci: It’s like what you were saying before though is that they’re buying the why. Even for these interactions you need to explain why you’re doing it not just what you’re doing. Brent Weaver: Exactly. Even if you are a project manager, which is what I started saying and you have a process that you want a client to follow, you need to tell them why they should or shouldn’t do certain things. Actually we’re currently going through a rebrand for our company and the agency that we chose, they follow our staff to a tea and they have a really great process. They literally before every single one of our interactions, even in their delivery process they would walk through why we were doing the step. When it came to design our visions, they would say this is what this is, this is what this is not, this is why we are doing this. Don’t take this logo comp and go show your random friend Bob who has not been a part of this whole process. If you want Bob to jump into the process great. Let’s get him caught up on 20 hours of brand and discovery and then we can hear Bob’s opinion. I think that that’s important for you in your entire sales project as well as always to make sure that you’re setting expectations of what it is, what it isn’t, and why you are doing it. Andy Baldacci: That’s huge in the way they did that. That’s so smart and I can just immediately see how that just eases and reassures the client at every step of the process. Once someone has gotten the proposal, once all these has happened, are things wrapping up now? Is it just an issue of getting the payment and kicking off or what happens after that? Brent Weaver: They could for sure. You could get to that proposal presentation and at the end you say that’s our solution, we’d like to move forward. Are you guys ready to move forward on this? You can either get savvy with closing techniques or just be a total consultative selling the person that you says, asking for the business clearly don’t beat around the bush. Don’t be like, let us know what you think. Just, are you guys ready to move forward? Will you sign this today? If they say no then you need to understand why they’re telling you no. Is it no, we need to have other stakeholders involved? If all of a sudden they’re like, we’re not ready to move forward with us today, we have to give this to the CEO Bob. You’re like what? Bob? Why wasn’t Bob part of this process earlier? You obviously can’t get mad at your client that point. At that point you might say, okay look we need to carve out some additional time to bring that stakeholder in and do some proposal Q&A, and maybe get Bob caught up on some discovery stuff to make sure he understands why we cost a lot more and the types of problems we’re going to solve for you guys. It might turn out for a larger project or a more complex project, you might just have additional proposal presentations. The example I gave you earlier the graduate we had that signed the $116,000 project, they said look we need you to come and present this to us a couple more times to other key stakeholders. Literally it was great, let’s schedule the proposal presentations. She was doing the exact same thing, but with other stakeholders in the room answering their questions, their objection. There was a finance board, there was those other people that had to make that decision. You have to be open to that if that’s the case. Andy Baldacci: It still goes back to the lie. This is the diagram, the flow chart that you’ve built out, but it’s not like it should just be followed blindly, it really comes down to figuring why are each of these stages. Why are all of this interactions valuable, in making sure you’ve achieved the goal of each of them and if you haven’t and there’s still something there still with moving forward. You don’t just move on just because a flow chart says so, you really need to then figure out how do we get to where we need to be? Brent Weaver: Exactly. With our boot camp program where we’re working with people one on one, every once in a while somebody does something and you’re like okay teachable moment. I’ve heard people say things like, I just did six hours with the discovery and they told me that the project was way too expensive, way outside of their budget. When we first did qualification and got into our first discovery meeting at that time, they told me that we had a $2,000 budget. I asked them if that was possible for them to increase that budget and they said no. I kept going through discovery and I pitched this $10,000 project and they said no. I’m going what? Why did you stop discovery? I thought that if I went through this process they would see the value. You got to turn the lights on in there and realize that the purpose of our interaction or the purpose of teaching people how to sell, is not so that you can pull the wool out of people’s eyes or trick them into paying you a lot of money. It’s to make sure you’re getting to those true needs, it’s to make sure that the solution that you’re providing them is going to provide a great ROI for that business or organization. Then you’ve quantified that, that you’ve mitigated the risks for them, and that you’ve really brought them along with you, so that by the time they sign on with your agency, they’re now at your level. At least it’s close to your level as they can be at that point and you’ve really paved the way to have an amazing project experience. One of the reasons that we created our program in a 10 week model where every week you’re working with a mentor, is because these interactions if you have a live lead, a live prospect coming through your business while you’re going through our program. One of the reasons that our program has been so successful for so many people is that, we are literally holding your hand through the individual interactions and making sure to be in the weeds with you, while you’re going through them. There’s so many things just like you said there are so many things that could happen in the real world, that this one paged diagram doesn’t necessarily solve for them. That they have to have a mentor, somebody that’s been through it, hundreds of times to be able to guide them. Andy Baldacci: This was one of the denser interviews I’ve done and I say that in a very good way if that’s possible, because honestly you’ve walked us through this process. I’ve talked to a lot of agency experts, agency owners, consultants, whoever about their sales process and this was one of the ones that has been probably the clearest for me. You provided a ton of value. First I just want to say thanks for that. Second to back things up a little bit, because there was a lot there. What is one thing that listeners can do to just get started building a better sales process in their own agency? Brent Weaver: The first thing that we ask when we do our sales modules and boot camp we ask every one of our folks going through our program to do, is to draw out their process as it stands today. Just to become conscious of what they’re doing right now. I know that every one of you might have a different process that you’re following for each client. Look at your last four or five deals that you won and write on a piece of paper like a blank white sheet, or a whiteboard, or whatever and just map out your process as it stands today. That’s the first key step is just getting conscious of what you’re doing right now and making sure you’re at least aware of that. Then the next thing that you can do is start to improve that process hopefully by taking a program like we have or there’s a lot of sales programs out there, but then looking at those programs and thinking about how you can actually improve what you have today. What we usually try to do with people is not have them coming to our program and just totally slam them through this massively different process. What we usually try to do, we look at what they’re doing right now, what they’re comfortable with, and then we start to augment that in steps so that they can build up confidence and get to where they ultimately want to go. Take the example that I gave earlier where somebody signed $116,000 project, that was not her first go at the interaction model. The first time she did it, she probably went from okay I’m doing one meeting to let’s do three meetings. Where we’re doing a qualification, one discovery meeting, and a proposal presentation. One meeting to three meetings. I can do that. Just that shift right there is going to have a phenomenal impact on the opportunities that you’re pursuing. Once you’ve done three interactions with the client, now let’s figure how to unpack that maybe to a fourth interaction and go deeper into discovery or add a solutions presentation. Adding these things over time as you get comfortable with it is our approach. If you take something that’s never done discovery before and they currently have a one meeting you want to process and you ask them to do an eight or nine meeting process, with probably maybe the wrong type of client to begin with. They’re going to get frustrated really quickly. We advocate a slow transition. Some people come in and they are just high risk takers and they just go all in. A lot of people that are selling a $1,000 projects add a little bit of our process to their mix and then they are selling $3,000 projects. They add a little more and they’re selling $6,000 projects. Andy Baldacci: That process is so smart, that gradual iterative approach is so smart. That’s a good way for agency owners to get their feet wet without having to necessary dive in fully. If agency owners that are listening want to get more details, they want to learn more about not just the interaction model, but all of the ways that uGurus can help agency owner build better agencies, what is the best thing for them to do? Brent Weaver: If you guys liked what you heard today, I’ve got these five hour course it’s called the web design sales kit. It’s usually 197 bucks but anybody that’s listened to your podcast all they have to do is just email me and say, hey I want that course. That’s actually a five hour video course with resources and downloads to teach you this process at more depth. I’m happy to provide that to you guys at no cost, just shoot me an email at brent@uGurus.com and I’ll also throw in a strategy call on top of that, so 60 minutes strategy call to help them out. Then I’ll give it to you for your show, but if you want an easier link to get that I can give that to you for the short notes if they don’t want to email me directly, but I’m happy to have any of your audience just shoot me an email. Andy Baldacci: Awesome. Brent that was very generous of you. I hope a lot of people do take advantage of that, because there is a lot there you know what you’re doing because you’ve done it yourself and you’ve worked with so many other agencies. Please take advantage of that generous offer that Brent just gave us. Brent it was a lot of fun chatting. I appreciate you staying a few minutes extra and going past the deadline, but honestly this was a really fun interview. Thanks again for coming on the show. Brent Weaver: My pleasure Andy. Jordyn is a PR and social manager at Hubstaff. If you tweet at us, send an interview request or partnership idea, Jordyn will likely be the one to promptly and enthusiastically respond. No matter what she’s doing, she’s passionate about creating a strong and positive online presence for Hubstaff. You can find her on Twitter or LinkedIn.